Your vehicle deserves the best maintenance possible. How do you achieve this? Following scheduled service intervals is key. At the Crystal Lake Chrysler Jeep Dodge Ram Service Department, we have the staff, tools and technology to keep your vehicle in top operating condition. 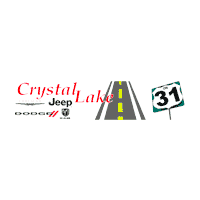 Welcome to Crystal Lake Chrysler Jeep Dodge Ram serving the towns of Barrington, Lake Zurich, Antioch, McHenry, Lake in the Hills, Schaumburg, Rockford, Belvidere, Libertyville and Gurnee Illinois’ automotive needs! Our goal is to continually offer our customers the very best in customer service, selection and values at our conveniently located Northern Illinois dealership as well as here on our website. We developed our site with you in mind; built in a fashion that was easy and efficient for you to navigate through. Browse our online inventory to find a new, Pacifica, Dodge Challenger, Charger, Durango, Journey, Jeep Compass, Wrangler, and Ram Pickups. Get a quote, compare prices, schedule a test drive, arrange a lease or financing for your car loan, find incentives & offers, all the information you’ll need on any new, Certified Pre-Owned or used Chrysler Jeep Dodge Ram is right here. Swing by our dealership or give us a call at 888-629-3705. Our used car buyers make sure our lot always has a good selection of quality vehicles under $10,000. Take a look at our inventory. If you don’t see a vehicle you like, give our used car Manager Tom Sach a call. If he can find it, he will. Crystal Lake Chrysler Jeep Dodge Ram has an extensive inventory of new cars, trucks, SUVs or Jeep Wranglers that will fit your needs and budget; getting you on the road in no time. Our new Chrysler, Jeep Dodge and Ram dealership has a comprehensive inventory of all the new 2019 models, Including new Jeep Wranglers. Give our knowledgeable auto sales team a call at 888-629-3705 or visit us in person. Visit us today for Huge Savings on Certified Pre-Owned Vehicles and Quality Used Cars. At Crystal Lake Chrysler Jeep Dodge Ram you’ll find a wide selection of well-maintained, competitively-priced used cars. Certified technicians perform a detailed inspection on every used car, truck, SUV, and van before it is sold at our dealership. Browse our inventory of used cars in Northern Illinois online to view details about our low priced, high-quality pre-owned vehicles. We Are Your Car Finders. Having problems locating a new or certified pre-owned or used car in Northern Illinois? Complete our no-obligation CarFinder form and we will contact you when the vehicle you are looking for arrives on our dealership lot. Crystal Lake Chrysler Jeep Dodge Ram is the first and last place you will need to shop for a new or used car, truck or SUV in the Chicagoland area. Chrysler, Jeep, Dodge Ram Financing and Leasing Options. Looking for a car loan or lease in the Lake in the Hills or McHenry County? Come speak to the auto financing experts at Crystal Lake Chrysler Jeep Dodge Ram. By working with some of the nations top lenders and understanding your auto finance needs, we can create customized car loan and lease programs suited to your budget. The auto finance department at our Northern Illinois dealership can adjust variables to make sure your car loan or lease will fit your lifestyle and budget. The term can be extended to lower monthly payments or you can pay a little more to shorten the duration of your auto loan or lease. Call us at (888) 629-3705 to get in touch with a finance representative today! Visit Crystal Lake Chrysler Jeep Dodge Ram for all your car repair, auto service and car parts in Lake in the Hills or McHenry County. You will have peace of mind knowing that you are getting the help you deserve from industry expert auto technicians. We provide car repairs and maintenance done to factory specifications to ensure your vehicle is always performing at its best. We also keep a wide selection of original car parts for quick order fulfillment. If we don’t have your part in stock we can acquire it quickly. Know the exact car parts you need? Use our online auto parts order form to order your auto parts today. The employees at Crystal Lake Chrysler Jeep Dodge Ram look forward to your visit. Give our friendly sales staff a call at (888) 629-3705 with any questions about your new or used vehicle purchase or stop by and visit us today at 5404 S Rte 31, just north of Route 176 in Crystal Lake. We look forward to your visit! Serving Algonquin 60102, 60156, Antioch 60002, Barrington 60010, Beloit 61080, Carpentersville 60110, Cary 60013, Fox Lake 60020, Grayslake 60030, Gurnee 60031, Huntley 60142, Island Lake 60042, Buffalo Grove 60089, Long Grove 60047 60060, Rockford 61101, 61102, 61103, 61104, 61105, 61106, 61107, 61108, 61109, 61110, 61112, 61114, 61125 61126, Loves Park 61130, 61131, 61132, Belvidere 61008, Lake in the Hills 60102, 60156, Lake Zurich 60047, West Dundee, Antioch, Waukegan, Harvard, Fox Lake, Grayslake, Mundelein, Vernon Hills, Inverness, Round Lake Beach, Lake Villa, McHenry 60050 60051, Schaumburg 60173, 60193, 60194, 60195, Wauconda 60084 and Woodstock 60098. We carry all available years and models including 2001, 2002, 2003, 2004, 2005, 2006, 2007, 2008, 2009, 2010, 2011, 2012, 2013, 2014, 2015, 2016, 2017,2018 and 2019 models. * Images, prices, and options shown, including vehicle color, trim, options, pricing, and other specifications are sub, ect to availability, incentive offerings, current pricing and creditworthiness. Visit us today at Crystal Lake CDJR!